Retail Up! and Family Music Centers Green Valley authorize you to personally view the material contained on the Family Music Centers Green Valley site and to download a single copy of such material for your personal, non-commercial use, provided that any downloaded copy includes the copyright notice, "Copyright 2002, Retail Up! and Family Music Centers Green Valley. All rights reserved." and with any other copyright or proprietary rights notices that appear in the material copied. Consumers may not use site nor provide outside links to the site, for any personal or commercial pupose, including but not limited to, sale or trade of particular items or services. The materials contained on the Retail Up! and Family Music Centers Green Valley site are protected by the copyright laws of the United States and other countries. Ownership of the content belongs to Retail Up! and Family Music Centers Green Valley, or its retail store customers, and to content providers to this site. Any use of the content not expressly permitted by these Terms and Conditions of Use is a breach of these Terms and Conditions of Use and may be a violation of copyright, trademark and other laws. All rights not expressly granted in these Terms and Conditions of Use are specifically reserved to Retail Up! and Family Music Centers Green Valley. If you violate these Terms and Conditions of Use, your authorization to use the Retail Up! and Family Music Centers Green Valley site is automatically revoked and you must destroy any copies of the content that you have made. Consumers taking advantage of special features such as Shop On-Line, in-store specials, and coupon offerings do so at their own risk and shall hold Retail Up! and Family Music Centers Green Valley, as site service provider, harmless from any and all liability regarding products posted on retailer sites as well as pick, pack, payment, and delivery functions. Consumers agree to pay for goods and services purchased via the internet with Family Music Centers Green Valley and recognize that purchasing goods and services on line holds the same validity as if purchased in person from a bricks and mortar store. While Retail Up! and Family Music Centers Green Valley provide state of the art security encryption devices, customer's e-mail may not be fully secured against interception. Customer agrees to hold Family Music Centers Green Valley harmless from any and all liability for any reason whatsoever, including monetary issues, that may arise regarding any transaction that occurs between Family Music Centers Green Valley and customer. 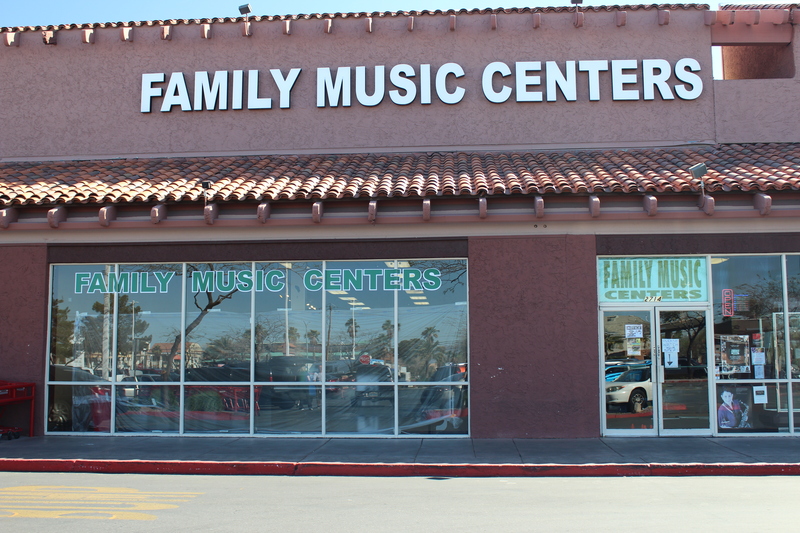 Both Family Music Centers Green Valley and customer agree to hold Retail Up! harmless from any and all liability for any reason whatsoever, including monetary issues that may arise regarding any transactions that occur between Family Music Centers Green Valley and customer. Further, Family Music Centers Green Valley provides guarantees and warranties regarding reimbursement for goods and services, as well as pick, pack, and delivery functions whether shopping on-line or at its brick and mortar location. Please see our store policies posted on the ordering section of the site. Family Music Centers Green Valley collects financial information (like your account or credit card numbers where applicable) so you can order products from its store via their shop on-line service. Your billing information is only used by Family Music Centers Green Valley or its other business partners to bill you for products and services they sell. It is privileged, confidential, encrypted, and held on a secure server, and will not be given to a third party except as required by law. Retail Up! and Family Music Centers Green Valley (your preferred store) respect and value your privacy. Although we will collect personal information from you, with your permission, only your name, your e-mail address, and your mailing address will be provided to your preferred store. No other personal information collected during your use of this site will be shared. Retail Up! and Family Music Centers Green Valley will not, without permission, sell, disclose or provide ANY information, including your name, address, e-mail address or other personal information to any third party, unless required to do so by law. Personal information collected from you is submitted with your knowledge and consent. Retail Up! and Family Music Centers Green Valley will only use that information to provide a more customized service to you. Should you choose to take advantage of the posted in-store specials, or shop-on-line features of this Web Site, further information such as your credit card data for method of payment of goods and services may be necessary. Retail Up! and Family Music Centers Green Valley, as site service host, provide state of the art security and encryption devices to protect your payment information. Retail Up!, as site service provider, its employees, directors, and investors are to be held harmless from any and all liability regarding any misuse of your credit card information provided for fulfillment of Family Music Centers Green Valley's shop on-line feature. Retail Up! and Family Music Centers Green Valley, as site service provider, work to protect the security of your information during transmission by using Secure Sockets Layer (SSL) software, which encrypts information you input. Retail Up! employees who handle customer data do not have access to your credit card details as this information is immediately encrypted after you execute the continue link at the bottom of the payment details section. In order to shop online, Family Music Centers Green Valley collects your name, address information, and credit card information, so that it can fulfill your order, as well as your contact information (e-mail and telephone) in case Family Music Centers Green Valley needs to communicate with you regarding your order. All major credit card companies protect cardholders against fraud, subject to a $50 deductible. Family Music Centers Green Valley will protect you for this $50 portion in the highly unlikely situation that you ever encounter an inappropriate charge involving our company. We reveal only the first four and last four digits of your credit card number when confirming an order. Of course, we transmit the entire encrypted credit card number to the appropriate credit card company during order processing. To complete credit card transactions, Family Music Centers Green Valley provides the following member information (name, billing address, credit card number, expiration date, and transaction amount) to the credit card processing company we use via secure communications pathways. In addition, as part of the fulfillment process, Family Music Centers Green Valley may share shipping information with intermediary shipping companies, including but not limited to USPS. Retail Up! and Family Music Centers Green Valley have adopted these policies and procedures because (1) we cannot control the privacy practices and policies of other sites and (2) we want to protect your security and privacy during your visit to us. This site provides you the opportunity upon registration to opt-out to receiving communications from Family Music Centers Green Valley or its content providers, its customers and advertisers. This site also gives you the following methods to discontinue receiving future communications. You may utilize any of these options to indicate that you no longer wish to receive contact from Retail Up! and Family Music Centers Green Valley. This site does not knowingly sell any products or services to children under the age of 18 years, nor does it specifically target any information towards children. We advise that if a parent feels that anything about this site is inappropriate for their child, they monitor the child's use of this site as they would all other Internet usage. Family Music Centers Green Valley always welcome your input and comments. Please feel free to contact us. (See the Contact Us section above for details). Our site registration form requires you to provide contact information (like your name and e-mail address). Retail Up! and Family Music Centers Green Valley uses the contact information from the registration form to send you information about the company and promotional material from content providers and advertisers provided that you have given us permission to do so. We collect financial information (like your account or credit card numbers where applicable) so you can order products from your preferred store or other Family Music Centers Green Valley clients. Your billing information is used by Family Music Centers Green Valley or other business partners to bill you for products and services they sell. It is privileged and confidential and will not be given to a third party except as required by law. Outside links are provided in limited circumstances where it is necessary to provide a balance of information and are for your information and perusal only. Retail Up! and Family Music Centers Green Valley are not responsible for and neither endorse nor support any products or services that you may find on these outside sites. Any data presented on these sites should be used at customer's discretion only. Retail Up! and Family Music Centers Green Valley are not responsible for any results that may or may not occur regarding your use of any information, goods, or services posted on these sites. Retail Up! and Family Music Centers Green Valley can not guarantee nor provide security surrounding your personal and confidential information while you are visiting these outside sites. In addition, some internal links may be required to support the functionality of Family Music Centers Green Valley and Retail Up!, as site host and are not accessible by the community at large. Retail Up! provides news content through various established news sources which may at any time include UPI, AP, The New York Times Syndicate, Knight-Ridder/Tribune, Industry publications and numerous other established news sources. Retail Up! and Family Music Centers Green Valley utilizes these sources but is not responsible for their accuracy or their editorial views. Family Music Centers Green Valley may sell, publish or share aggregated member information with our business associates or other third party organizations on occasion. No individual member information will be sold or given to a third party by Retail Up! or your preferred store or its business associates without prior, express written permission of that member. All advertiser claims regarding product testing must be verifiable. The advertiser must be able to substantiate and authenticate these claims to Retail Up! and Family Music Centers Green Valley and to site users upon request. Retail Up! and Family Music Centers Green Valley make no warranty or guarantee for the accuracy of labeling, content, or quality of any products or services advertised on retailer's site. Retail Up! and Family Music Centers Green Valley have no means of independently evaluating the safety or functionality of the products offered by its suppliers and affiliates and thus can neither endorse nor recommend products. Retail Up! and Family Music Centers Green Valley make every effort to receive a certification from its suppliers that (i) the product complies with all local, state, and federal regulatory requirements; (ii) every claim made on behalf of the product is adequately substantiated and information is readily available regarding such claims, and (iii) all adverse safety information is disclosed on product labeling. Retail Up! and Family Music Centers Green Valley require that all of our advertisers can substantiate their claims of safety, wholeness, goodness and purity of product. However, we do not guarantee, warranty those claims, or any product or service advertised or discussed on our site. Retail Up! reserves sole discretion to accept, edit or reject any and all materials submitted to us from consumers directly or Family Music Centers Green Valley on behalf of a customer. Retail Up! will not be responsible for the return of these items. Retail Up! will not be liable for any payment for any submissions without prior written agreement. You agree that you will not upload or transmit to the Retail Up! and Family Music Centers Green Valley site, its content providers, business associates, advertisers or users, any material that infringes or violates the rights of any party. If you submit any content or communication to the Retail Up! and Family Music Centers Green Valley site, you are agreeing that such content or communication is not confidential for any purpose. By making any submission to this site you are representing and warranting that you are the owner of the rights to the material submitted, and you are granting to Retail Up! and Family Music Centers Green Valley a permanent, royalty-free, irrevocable, world-wide, nonexclusive license to use, reproduce, create derivative works from, modify, publish, edit, translate, distribute, perform and display the content of the submission in any media, in any form or format, now available or developed in the future. If you are not the owner of the rights to the material submitted, you are representing and warranting that the person who owns such rights has granted the above-referenced rights to Retail Up! and Family Music Centers Green Valley. You agree, by your use of this site, to adhere to our standards of proper Net-etiquette. This includes, but is not limited to the standards listed below. Retail Up! and Family Music Centers Green Valley prohibit the following action in our public areas and reserves the right to remove any postings that violate them. DO NOT misrepresent yourself as part of the Family Music Centers Green Valley staff, or another organization to which you ARE NOT A MEMBER. You agree to indemnify and hold Retail Up! and Family Music Centers Green Valley, its officers, principals, employees, agents, consultants, and information providers harmless from and against all claims, actions, demands, losses, expenses, damages and costs, including but not limited to reasonable attorney's fees and accounting fees resulting from, or alleged to have resulted from, your violation of these Terms and Conditions of Use. Retail Up! and Family Music Centers Green Valley site is provided on an "AS IS" and "AS AVAILABLE" basis. Your use of the Retail Up! and Family Music Centers Green Valley site and content is at your own risk. Retail Up! and Family Music Centers Green Valley does not guarantee that the functions of this site will be error-free or uninterrupted, or that this site and server will be absolutely virus-free. Your use of this site involves transmission of data over facilities which are not within the control of Retail Up! and Family Music Centers Green Valley, its content providers and advertisers. Therefore, Retail Up! and Family Music Centers Green Valley assume no liability for delay, corruption of data, interruption of service, or interception of data transmissions outside of its direct control. RETAIL UP! AND FAMILY MUSIC CENTERS GREEN VALLEY, ITS CONTENT PROVIDERS, BUSINESS ASSOCIATES AND ADVERTISERS, TO THE FULLEST EXTENT ALLOWABLE BY THE LAW, DISCLAIM ALL WARRANTIES, EITHER EXPRESS OR IMPLIED, INCLUDING BUT NOT LIMITED TO THE IMPLIED WARRANTIES OF MERCHANTABILITY, FITNESS FOR A PARTICULAR PURPOSE, AND NON-INFRINGEMENT OF THIRD PARTIES' RIGHTS. Retail Up! and Family Music Centers Green Valley make no representations or warranties as to: (1) the accuracy, completeness, reliability, currentness or timeliness of the content, textual material, graphics, links, or data transmission capabilities provided by the Retail Up! and Family Music Centers Green Valley site; and (2) compliance with or satisfaction of any governmental regulations requiring disclosure of information concerning products or services offered by content providers or advertisers on the Retail Up! and Family Music Centers Green Valley site. In no case shall Retail Up! and Family Music Centers Green Valley, its content providers, business associates, advertisers or any third parties referred to on the Retail Up! and Family Music Centers Green Valley site be liable for any damages, including without limitation, incidental and consequential damages, personal injury or death, lost profits or damages from data loss or business interruption, resulting from the use or inability to use the Retail Up! and Family Music Centers Green Valley site or its content, whether based on contract, tort or any other legal theory, and whether or not Retail Up! is given notice of the possibility of such damages. Retail Up! and Family Music Centers Green Valley shall only be liable for actual damages suffered by you, and only to the maximum amount of $500 (U.S. currency). Retail Up! and Family Music Centers Green Valley assume no liability for your use or misuse of the site, the content, the public areas of the site, including, without limitation, liability for personal injury or death. Any claim brought in relation to your use of the site, the content or the public areas of the site must be brought within one (1) year of the event from which the claim arises. The remedies set forth in these Terms and Conditions of Use are exclusive and limited to those expressly set forth. Notwithstanding the arbitration provision above, Retail Up! and Family Music Centers Green Valley may avail themselves of the full range of remedies available to them, either individual or together, in connection with any violation of its respective intellectual property rights, including, but not limited to, temporary and permanent injunctive relief, and actions for damages in either state or federal courts, as applicable. If such judicial proceedings are instituted, the parties agree that such proceedings will not be stayed or delayed pending the outcome of any arbitration proceeding under this Agreement. In such judicial proceedings, the prevailing party shall be entitled to an award of attorneys' fees and litigation costs, including those at the trial court and all appellate court levels, against the losing party. By use of this site, you agree that exclusive venue for resolution of any disputes between you and Family Music Centers Green Valley at 2714 N Greeen Valley Pkwy, shall be in the county and state wherein Family Music Centers Green Valley is located, or in the United States District Court for the District and Division that governs Family Music Centers Green Valley's location. Your use of this site and all relations between you and Family Music Centers Green Valley shall be governed by the laws of the State of NV except where specifically preempted by federal law. Except as expressly set forth within any separate notice contained in the Retail Up! and Family Music Centers Green Valley site or any other written agreement between you, Retail Up! and Family Music Centers Green Valley, these Terms and Conditions of Use constitute the entire agreement between you, Retail Up! and Family Music Centers Green Valley regarding the use of the Retail Up! and Family Music Centers Green Valley site and content. These Terms and Conditions of Use may be modified by Retail Up! at any time, with or without advance notice. By your continued use of the Retail Up! and Family Music Centers Green Valley site, you agree to monitor these Terms and Conditions of Use for any changes, and that such changes will be binding upon you. None of these Terms and Conditions of Use may be waived except in a written instrument signed by an officer of Retail Up!. No waiver, whether express or found to exist as a matter of law, shall be deemed a further or continuing waiver of such term or condition or of any other term or condition.